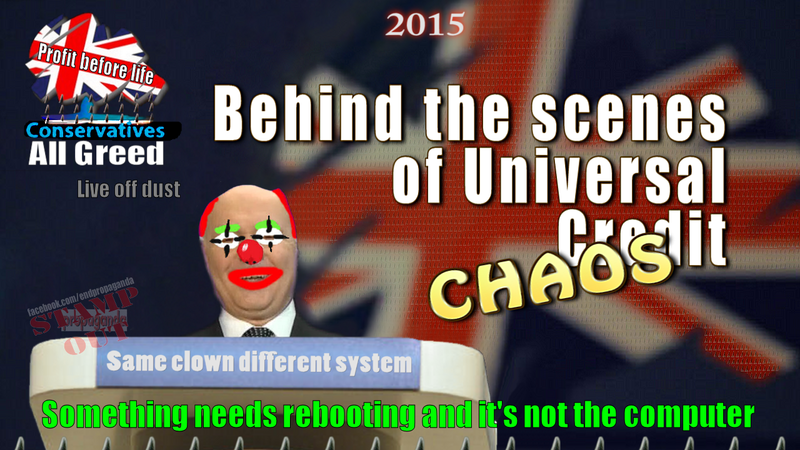 Re: Universal Credit ( UC ) : Rollout Schedule * Mines * Sanctions * Changes * Delays * Warnings ! Universal credit leaves disabled people £300 a month worse off, report finds. Ministers are being urged to ensure working disabled people receive targeted in-work financial support. Disabled people are losing £300 a month under the universal credit system, fuelling concern that the welfare reform is causing more hardship for many of the claimants it was designed to help. Citizens Advice said the new benefit system was “penalising” single disabled people due to flaws in its design, leaving them worse off compared to the previous structure. It comes as a report by the Public Accounts Committee (PAC) accused ministers of turning a “deaf ear” to concerns about the controversial welfare reform, saying the government was “refusing to measure what it does not want to see”. The research by Citizens Advice shows that working disabled people face a “significant drop” in financial support when they move onto universal credit. This is because the “work allowance” – designed to improve incentives for disabled people to work – is only awarded to people assessed as being unable to work, which the charity said was leaving disabled people in employment more than £300 a month worse off. Disabled people who can only do limited work are meanwhile seeing their support reduced after working just six hours a week, rather than 16 hours a week in the previous system – meaning somebody working 12 hours a week can be over £100 month worse off – according to the findings. Citizens Advice, which was called in by the government to aid the roll-out of universal credit earlier this month, is now urging ministers to ensure working people receive targeted in-work financial support if they are disabled or have a health condition. Gillian Guy, chief executive of the charity, said: “Working disabled people need to prove they are unfit to work to get support meant for them. This goes against the government’s aim to support a million disabled people into work. Responding to the findings, Ken Butler, welfare rights advisor at Disability Rights UK, said the "robbing" of disabled people’s income was "shocking" and reason enough why the roll-out of universal credit should be halted. “It adds to the £5bn reduction that has been lost to disabled people over the last decade, despite the government accepting disabled people have extra costs because of disability. “This research is further proof that disabled people have been hardest hit by the austerity and cuts programme." The findings come as MPs warn that the Department for Work and Pensions (DWP) are “persistently dismissing” evidence that universal credit is causing “hardship for claimants and additional burdens for local organisations”. The PAC said that instead of listening to organisations on the frontline supporting claimants, the department had “continued with its fortress mentality” and as a result was “failing claimants” who struggle to adapt to the way universal credit works. It pointed to a “troubling pattern of behaviour” among ministers – referencing the recent Employment Support Allowance (ESA) error which saw 70,000 sick and disabled people miss out on large sums of government money that they were legally entitled to due to “shoddy administration”. Meg Hillier, chair of the committee, said the DWP was “disturbingly adrift from the real-world problems of the people it is there to support”. She continued: “Its apparent determination to turn a deaf ear to the concerns of claimants, frontline organisations and parliament is of real concern. The culture needs to change. A DWP spokesperson said it would consider the MPs’ findings carefully, and a number of them were already being worked on. Responding to the Citizen’s Advice report, the spokesperson said: “Around one million disabled people will receive on average £110 more a month under universal credit. We have committed to transitional protection for people when they are moved from the old system onto universal credit, and this year we announced extra protections so everyone currently in receipt of the Severe Disability Premium continues to get that support when they move onto universal credit. A mug of coffee before finding the next article ? Revealed: How universal credit is fuelling Britain’s homelessness crisis. Observer investigation finds system in chaos, putting chancellor under pressure to change tack. Rick Henderson, chief executive of Homeless Link, the umbrella body for homelessness charities, said hostels were struggling to move homeless people into more stable accommodation because their housing allowance was not matching spiralling rents in the private rented sector. “Welfare reform, specifically the cap and freeze on local housing allowance rates, compounded by high housing costs, are restricting the options available,” said Henderson. Foodbanks and evictions ... the price of the UC rollout. Tent cities on your manor ? Perhaps you don't venture near there ? Trouble is ... they ARE there ... and expanding. Universal credit crisis caused by Tories' £12bn of '" Salami-sliced benefit cuts ", says architect of policy.
' You can’t balance the books on the backs of the poorest people in the country, if you are going to make a reform like universal credit work. " Universal credit has been fatally undermined by the Tories’ other brutal welfare cuts, an architect of the controversial shake-up warns today, as demands grow for a U-turn in Monday’s Budget. Most of the misery caused is the inevitable knock-on from £12bn of “salami-sliced cuts”, including the benefit freeze, the benefit cap, the “bedroom tax” and curbs to council tax support, Deven Ghelani said. “You can’t balance the books on the backs of the poorest people in the country, if you are going to make a reform like universal credit work,” the former Department for Work and Pensions (DWP) adviser told The Independent. * A Commons committee is calling for the extension of universal credit to be shelved until the DWP can show it will not push “one more claimant over the edge”. * Labour has published 10 demands for immediate changes, including slashing the five week wait for payments, and an end to sanctions and split payments (to protect victims of domestic violence). The Children’s Society is warning families will lose up to £2,460 per year without a rethink, including 100,000 disabled children who will be as much as £147 a month worse off. Philip Hammond, the chancellor, is expected to announce some shift on universal credit after as many as 30 Conservative backbenchers threatened a revolt. The rebels want around £2bn to protect the hardest-hit groups – single parents and second earners in families – before a rollout the Department for Work and Pensions has already delayed. However, the clamour for radical changes to universal credit now stretches far beyond the calls to reinstate the £2bn of cuts put in place by George Osborne back in 2016. Today, the all-party Commons Work and Pensions Committee says a plan to put 4 million more people on the benefit must be halted without changes to prevent “unmanageable” debt. Claimants will start moving over from mid-2019, rather than January as intended, but the move will “pile debt upon debt, trapping people in a downward spiral of debt and hardship”, the committee says. Its report attacks the five week wait for a first payment, the requirement to pay back emergency advances and the DWP’s “aggressive approach to collecting debts”. Labour echoed the criticism, as it released a 10 point plan which also includes scrapping compulsory online claims, after it was revealed that one in three claims are abandoned because of difficulties. The party also wants to give tenants the right to have their housing benefit paid directly to their landlord, following evidence that some are falling into debt. Margaret Greenwood, Labour’s work and pensions spokeswoman, said: “Universal credit clearly isn’t working. Instead of helping people it is punishing the very people it should support. The government has repeatedly insisted that the £15.8bn shake-up, which squeezes six separate working benefits into a single payment, is working well. But Mr Ghelani, who advised Iain Duncan Smith on introducing universal credit at the start of the decade, pointed to the vast other welfare cuts as the “biggest” cause of the current problems. “The core issue is the £12bn of salami-sliced cuts which means people on benefits are already under huge financial strain, even before they are asked to manage the change onto universal credit,” he said. “There is more to come in the years ahead, when universal credit is already less generous than the benefit system it replaces. Mr Ghelani, who now runs a welfare consultancy called Policy in Practice, insisted the shake-up could still be a success, even if it is far from “the promised land” envisaged. A DWP spokeswoman said it had “already announced several improvements” to universal credit to make it work more smoothly. They included “plans to reinstate housing benefit for vulnerable 18 to 21-year-olds, offering 100 per cent advances and providing an additional two weeks of housing benefit for claimants”. Proposed changes in the Budget ... there again , perhaps not ? MPs urged to consider voting down new rules on universal credit. Frank Field fears new regulations on switching to the benefit could leave many people worse off and struggling to cope. The chair of a powerful House of Commons committee urged MPs last night to consider voting down new rules governing how three million benefit claimants will be switched to universal credit – amid fears the regulations will leave people worse off. Frank Field MP, who chairs the all-party work and pensions committee, complained that ministers had refused to show MPs details of the new regulations, which they fear will plunge more claimants into poverty, and leave them struggling to cope under the new system. Field told the Observer he was furious that his committee had not been given the chance by ministers to scrutinise the latest regulations, given the growing public concerns over universal credit and mounting calls for the system to be scrapped. “If they had taken account of the most basic demands that everyone has been making, they surely would have shared these latest regulations with us,” he said, adding that if they did not go far enough to protect the vulnerable “then MPs will have no option but to vote them down”. This latest row follows months of chaos in which long waits for payment and processing errors have left tens of thousands of claimants in debt, rent arrears and reliant on food banks. Amid the uproar, Labour’s The shadow chancellor John McDonnell said last month that universal credit was “not sustainable” and that his party would scrap it. Fears about the impact of the movement of millions more claimants on to the benefit have, in recent weeks, led two former prime ministers, John Major and Gordon Brown, to warn that mishandling the next phase of universal credit could lead to levels of discontent similar to those experienced during the introduction of the poll tax. The chancellor, Philip Hammond, announced measures in his budget last week to boost universal credit, including an extra £1bn over five years to protect existing claimants migrating to the new benefit. But MPs also believe there must be vigilance before the next set of rules governing the terms that will apply to millions more claimants are pushed through. The first draft of the new regulations, published in June, stated that claimants would be sent a letter giving them three months to apply for universal credit before their benefits were terminated. People who missed the deadline would neither receive benefits nor any transitional protection. The plans sparked outcry from MPs and charities, who said this would cause many vulnerable people to fall out of the benefits system and plunge them further into poverty. At a hearing on 18 October, Field’s committee asked the employment minister Alok Sharma to allow it to scrutinise the revised version of regulations before they were presented to parliament. But in a letter to Field on 1 November, Sharma declined the request, stating that it would “diverge from the standard process” and delay the introduction of the regulations. In his response on 2 November, Field said that “given the strength of concern” about the original proposals, he hoped the regulations had “changed beyond recognition”. He warned that there had been “no opportunity at all for anyone to scrutinise this version of the regulations that the department now plans to lay”. The draft regulations have, however, been seen by the Social Security Advisory Committee (SSAC), which provides independent advice to the government. The SSAC has presented its report to officials but it has not been made public. In a blogpost on 30 October, the SSAC’s chairman, Sir Ian Diamond, said he was concerned that “the proposals load an unreasonable level of risk on to the claimant”. “We fear that, in too many cases, they may be adversely impacted by the proposals or fall out of the social security system entirely,” Diamond said. Universal credit will combine six working-age benefits, including income support, jobseeker’s allowance and housing benefit, into a single monthly payment. Field has fiercely criticised the scheme since it was spearheaded by Iain Duncan Smith in 2012, warning that it would “rot the soul” of the low paid. The government announced in October that the full rollout of universal credit, which was meant to begin in the summer of 2019, would be pushed back to November 2020 at the earliest. Field told the Observer that for universal credit to be considered a success, the rollout must be slow enough so that everyone could be safely brought on to the new system. He added that no one should have their income cut. “But it’s not looking hopeful at the moment,” he said. A DWP spokesperson said: “We consulted on these regulations for months, receiving feedback from over 400 stakeholders. During this time the work and pensions select committee had ample opportunity to provide comment but chose not to submit any evidence or offer feedback. “These regulations, due before the House shortly, are designed to support people on to universal credit. They protect 500,000 severely disabled claimants and provide transitional protection for all those moving to universal credit, meaning that no one loses a penny at the point of transfer. Yet another Issue affecting many in CarerLand up in the air ? Universal credit leading to rise in food bank use, charity says. Trussell Trust says benefits system is failing to protect claimants from hunger. Britain’s biggest food bank charity has called for urgent changes to universal credit after unveiling figures that show it gave out more than 650,000 food parcels in the past six months – a year-on-year increase of 13%. The Trussell Trust said the government’s insistence on making new claimants wait at least five weeks for their first universal credit payment was driving big increases in the numbers of benefit claimants relying on food banks. “The only way to stop even more people being forced to food banks this winter will be to pause all new claims to universal credit, until funding is in place to reduce the five-week wait,” said Emma Revie, Trussell’s chief executive. The trust said more than a fifth of referrals to its network of 428 food banks were generated as a result of claimants facing delays in benefit payments. Nearly a third of this group were waiting specifically for a first universal credit payment. The biggest single reason for a food bank referral over the period (31%) was the failure of benefit payments to cover the cost of living essentials, while benefit changes – a category that includes benefit sanctions – accounted for 17% of referrals. Revie said the benefits system was failing to protect claimants from hunger. “Our benefits system is supposed to anchor any of us from being swept into poverty, but if universal credit is to do that, we need to see urgent changes,” she said. The trust said it gave out 658,000 emergency food parcels between April and the end of September. Of these 233,000 went to families with children. During the year 2017-18 it gave out a record 1.3m food parcels to an estimated 666,000 people. The Trussell figures come as the UN special investigator on extreme poverty and human rights, Philip Alston, starts his two-week inquiry into the impact of austerity in the UK. He plans to visit a food bank in Newcastle on Wednesday. The Department for Work and Pensions said it had announced a series of changes to universal credit to ease the impact on claimants. “We will be increasing the amount people can earn on universal credit by £1,000 before their payment begins to be reduced, to ensure work always pays, and introduced £1bn to help people moving over from the old benefits system to universal credit. However, the Trussell Trust said that while the measures announced in the budget last month to help claimants were welcome, they would not solve all the problems with universal credit and they would take between one and three years to come into force. The Trussell Trust figures, which are based on returns from their 428 food banks operating out of more than 1,200 centres around the UK, account for only a fraction of the total number of food parcels given out in the UK. At least 787 non-Trussell food banks exist in the UK, according to the Independent Food Aid Network. When it comes to The Street , two spokesmen ... Trussells and Shelter. Take with a large pinch of salt ! United Nations investigator sees first hand the devastation Universal Credit is having on poor families. UN Special Rapporteur on extreme poverty and human rights, Philip Alston, visited Newcastle to speak to families affected by universal credit. The responsibility of keeping Newcastle’s poorest families from starving should not have to fall on organisations like the West End Foodbank, a top United Nations investigator has said. UN Special Rapporteur on extreme poverty and human rights, Philip Alston, visited the city on Wednesday to examine the impact of austerity and found struggling residents “under a huge amount of pressure”. On the third day of a fact-finding mission across the UK, he met with council bosses in Newcastle and went to the country’s biggest foodbank to see first hand the impact of Universal Credit and swingeing cuts to local funding. Mr Alston, who is also a Professor of Law at New York University, said: “I had a chance to speak to quite a few people here and it is clear that they are all under a huge amount of pressure. “They feel that they have all got problems of one kind or another that brings them here, and they have a fairly shared experience in the sense that the funds that they get out of Universal Credit are not sufficient to enable them to cope. “So the foodbank plays a really crucial role in the sense of providing that extra top up, that real safety net so that they don’t quite starve. That is very important. “I think the work being done here is unbelievably impressive, the people are clearly very dedicated. They have a large number of people coming in on a regular basis and, certainly in the conversations I had, people have expressed great gratitude not just for the food but what impressed me is that they see this as a community centre. The foodbank feeds around 42,000 people every year, and is currently giving out around 20% more food than six months ago. While praising the foodbank’s success in distributing hundreds of food parcels every week to people in need, Mr Alston said that it should be the Government that ensures that such a safety net exists. He added: “To the extent that places like this succeed, you risk sending the message that Government doesn’t need to play the central role and Government can just outsource these things. Among the foodbank users he spoke to were Denise Hunter and her son Michael, from Fenham. They use the foodbank every Wednesday and said that problems with their Universal Credit payments had left them struggling to survive, and fearful of the financial cost of doing basic things like boiling a kettle. Mrs Hunter, 57, said: “If it wasn’t for this place I don’t know what would happen. Her 20-year-old son added that Universal Credit had “tipped us over the edge” and that he regularly goes hungry. John McCorry, West End Foodbank chief executive, said that the true scale of poverty in Newcastle is “hidden” and that Universal Credit has “undoubtedly” had an impact. Universal credit : Rent arrears double for benefit claimants. In the 18 months since universal credit was introduced in Flintshire, the council's rent arrears have increased by £1m, something officials say is largely due to the new benefit. To mirror being paid a salary, it is paid once a month - in arrears. While this has worked for some, other claimants have said it is this delay in the payment, combined with confusion over the online application process, that has seen families left with no income for weeks, forced to turn to food banks and choose between paying bills or paying their rent. Universal credit was rolled out to job centres in Flintshire in April 2017, meaning the local authority is ahead of much of the UK. Eighteen months on, 23% of benefit claimants are now on universal credit in Flintshire, compared with about 10% nationally. One person caught up in the universal credit confusion is single dad James McDaid. He stopped work to look after his two-year-old son, and says he immediately ran into trouble when he made his first claim. He received £579 a month, out of which he had to pay £550 in rent, and then buy food and pay other bills. Unable to find out why his payment was so low and forced to turn to the local food bank to have enough to eat, Mr McDaid said he had to wait for months while his claim was processed. "If there weren't places like this [food bank] you'd be in trouble," he said. "It's quite distressing, you panic about things. "It's not fair to have that amount of stress. It's just mayhem because you just don't know if you're going to end up on the street or not." Neal Cockerton, head of housing at Flintshire council, is facing a double problem of tenants who cannot pay their rent and may have to be evicted, and a growing hole in the council's finances. In 2017 the authority's rent arrears stood at £1.6m. That figure is now more than £2m. Flintshire council said this week that those on universal credit in the county owe an average of £1,473 as opposed to tenants on the old benefits, who owe £334. Mr Cockerton and his colleagues now increasingly have to take the difficult decision to evict tenants who cannot keep up with their rent payments. Evictions have increased by 55% compared to the same time last year. "We do undertake a lot of intensive support before we get to that stage (eviction), but there is a degree of inevitability," he said. "There's a bit of an ostrich situation that develops - you put your head in the sand and it will go away. It won't go away, the rent has to be paid." Because universal credit is claimed online, the council has also had to employ four new staff to help with applications and arrears, another cost at a time when budgets are stretched. The government has given them more funding to offset this, but the council said not only is it not enough, it is stopping in April 2019. Panorama has also discovered that the government knew rent arrears caused by universal credit could be a problem. Prof Paul Hickman of Sheffield Hallam University was asked by the UK government to look into the progress of the new benefit. His study, in 2011, found only 8% of tenants who made seven or more rent payments managed to pay their rent in full. He said the UK government had these figures but still went ahead with universal credit. "Were we ignored?" said Prof Hickman. "Some of what we said was listened to but I think they were so committed to the course of rolling out universal credit so in some senses, whatever we found they were going to continue to plough ahead. "I think realistically given the billions that have been spent in terms of implementing it, it's not going to happen... but I would probably scrap it." Bye , bye Esther ... don't forget to turn the lights off ! Exclusive : Esther McVey resigns as she tells Theresa May Brexit deal does not honour the referendum. Yep ... like watching a game of ten pin bowling ... last pin standing ?